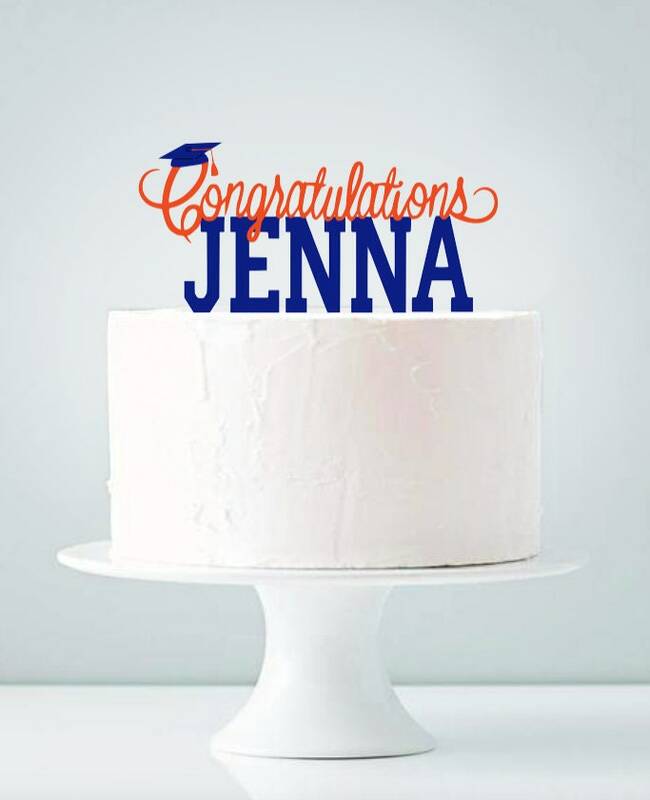 Width 6" 7" 8" 9"
Celebrate your graduate with this personalized topper! 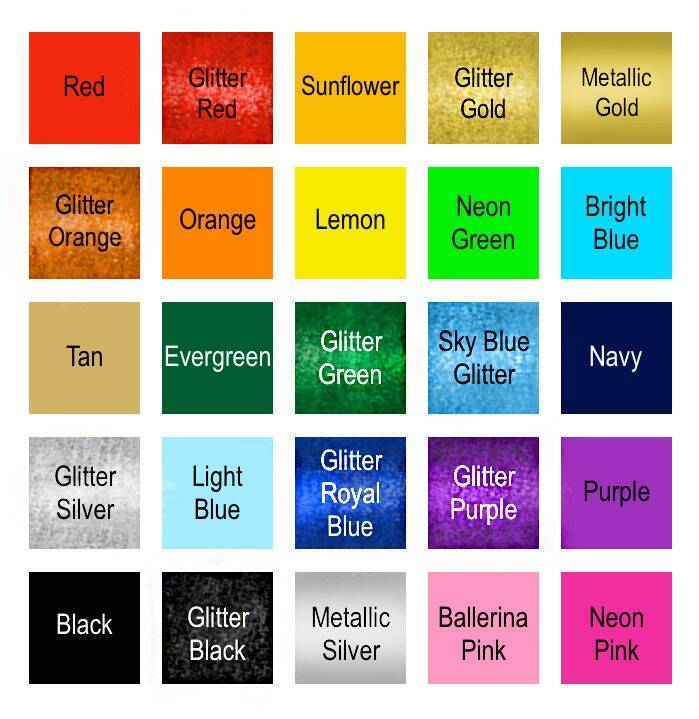 Each topper is made of heavy glitter cardstock in your choice of colors- choose from our color chart or send us your color scheme and let us match it! 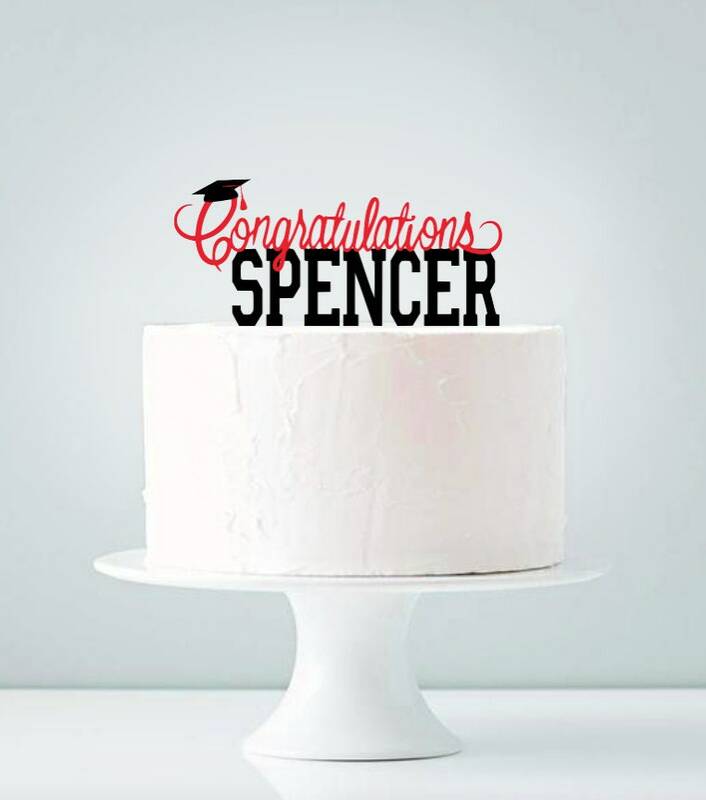 Topper is backed with matte solid stock in a complimentary color. The height and size of the letters will vary to suit your chosen width and the length of your name. This item is normally shipped within 2-5 business days.